Why give your valentine store-bought chocolates when it’s so easy to make your own gorgeous truffles? When coating these truffles, it’s important to work quickly and in batches so the chocolate doesn’t harden before you roll them in their tasty coatings. We prefer to use Dutch-processed cocoa powder to coat the truffles because it’s brighter in color and less acidic than natural cocoa powder. But if you can find only natural cocoa, you can use it instead. 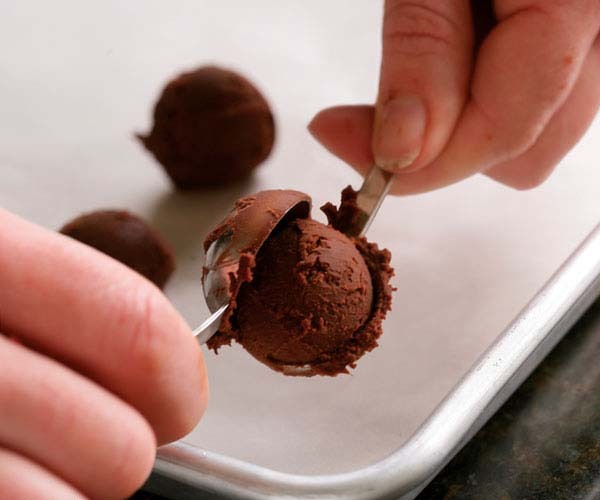 Make it Your Own: Use the Chocolate Truffle Recipe Maker to create a one-of-a-kind recipe. Choose from milk, semisweet, and white chocolate. Then select your flavorings and coatings. You can save, print, and share your recipe with a friend or sweetheart. Grind the chocolate in a food processor until it reaches the consistency of coarse meal, about 30 seconds. Bring the cream to a boil in a small saucepan over medium heat. Add the cream to the food processor and process until smooth, about 10 seconds.Add the butter and process until smooth, about 10 seconds. Transfer to a medium bowl, cover tightly with plastic wrap, and refrigerate until firm, at least 2 hours or overnight. Put the cocoa powder in a large bowl. Using 2 teaspoons, drop rounded, heaping teaspoonfuls of truffle mixture onto a large, parchment-lined baking sheet. 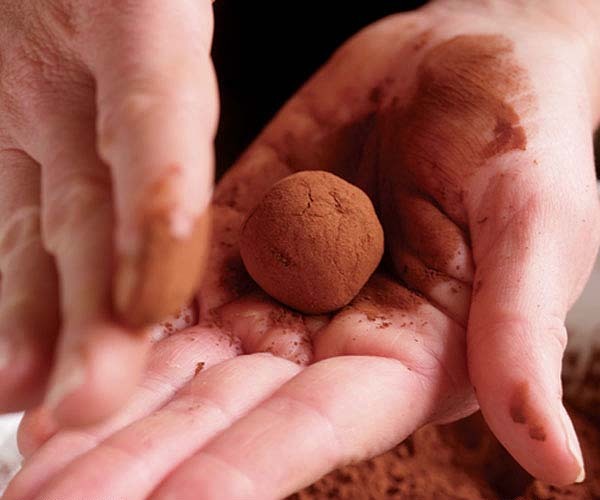 When all of the truffles are scooped, dip them in the cocoa and use your palms to roll the truffles into smooth 1-inch balls (don’t worry about making them perfect; slightly irregular truffles have an appealing homemade appearance). Transfer the truffles to the refrigerator. Melt the chocolate in a medium heatproof bowl set in a small skillet of barely simmering water, stirring occasionally until smooth. Transfer the bowl to a work surface. Working in batches, use your fingers or a couple of forks to coat the truffles with the melted chocolate. Coat them again with cocoa or nuts (see the variations below), and return them to the baking sheet. If using your hands, you’ll have to stop and wash off the chocolate in between batches. Let the truffles sit at room temperature for at least 15 minutes before serving. Truffles will keep for up to 5 days in an airtight container in the refrigerator. Bring them to room temperature before serving. Liqueur Filling: Add 3 Tbs. 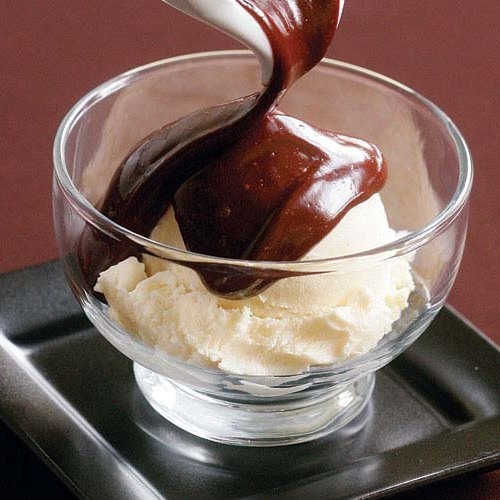 of a flavored liqueur of your choice to the ganache before refrigerating. We like Frangelico, Bailey’s, Godiva, Kahlúa, and amaretto. 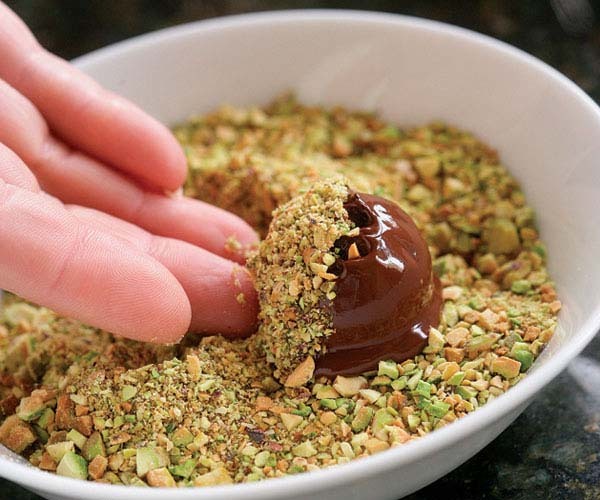 Nut Coating: After coating the truffles with melted chocolate, coat them with 1 cup (6 oz.) of your choice of finely chopped toasted nuts instead of cocoa powder. We like almonds, hazelnuts, walnuts, pecans, peanuts, and pistachios. 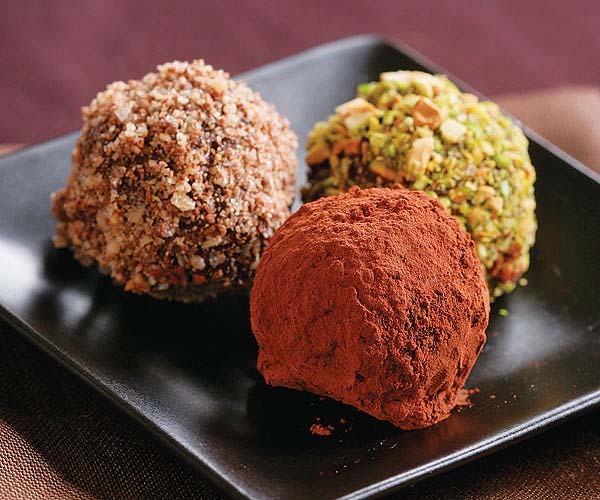 Note that when you use nuts instead of cocoa for the coating, you will still need cocoa to shape the truffles. Mexican Chocolate: Add 2 Tbs. Kahlúa liqueur, 2 tsp. instant espresso, and 1/2 tsp. ground cinnamon to the ganache. 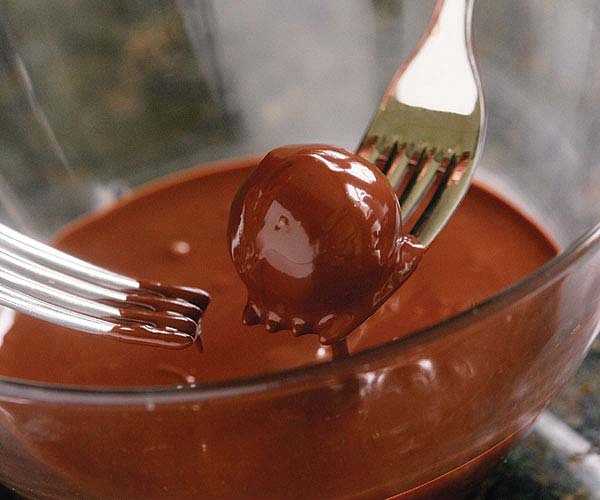 Coat the truffles with 1 cup (6 oz.) ground toasted almonds. Mint: Add 1/2 tsp. pure peppermint extract to the ganache. A shortcut to easy truffles: While pastry chefs typically temper the melted chocolate they use to coat truffles so that they look smooth and shiny, we skip the tempering (which can be tricky) and roll the truffles in cocoa powder or ground nuts right after coating them with melted chocolate. The truffles look great and any imperfections in the chocolate coating are hidden. Ditto with CareBearNJ: ganache is a bit stiff and hard to make into ball shapes. The first coating of coco gummed up my melted chocolate. I then opted to drizzle the chocolate on top for a partial coverage. OK. I made 3 different types of truffles using this recipe, the recipe for Basic Ganache, and the suggestions at the bottom. I don't want to get into all the details, but I thought the basic ganache was difficult to work with if you didn't use an addition. The tastiest variation by far, and the easiest to work with as well, was the PB and J truffle. The jam made the ganache softer and easier to form and the butterfinger (I used crushed butterfinger instead of peanuts) made the coating inconsistencies very forgiving. They looked yummy and tasted fantastic. Recommendations, whether a liquor or jam, add something to the ganache and coat with nuts or crushed candy, not cocoa. I'd never made any truffles before, these are a beginners recommendations.